My apologies for the much delayed post, I’ve had a moderately busy day: my visit to the optometrist took a bit longer than I’d anticipated, and I’ve started writing this far later than I’d originally planned. Today’s topic is all about how frustrating I find writing the middle of Last Days of Loneliness. If you followed that link (or remember the other earlier posts), you should have a pretty good idea of the shape of the story that I’m writing. Like those posts, this one is going to be full of spoilers… so if you really want to shield yourself you should probably just stop reading. If you want to read my thoughts as I try to solve the trouble that I’ve run into while trying to make the middle of the book live up to the promise of the premise, you know what to do. If you’ve read my previous reviews of Scalzi‘s work, you’re already familiar with how much I love it. There’s something about his style that I find captivating, perhaps unreasonably so. The God Engines is no exception to my love for Scalzi’s writing. It features space travel powered by faith and subjugated gods, and eschews many of the “upbeat” qualities (for lack of a better word) that I’ve come to recognize in Scalzi’s other pieces. It’s short, sweet, and ultimately horrifying, and I would happily recommend it to anyone who would like to read about holy war in space. Having just written that, yes, the setting does feel a little like Warhammer 40k, but not quite in the same grandiose grim-dark fashion for which 40k is pilloried. I don’t want to say any more that might accidentally spoil sections of the story for the especially perceptive, I’ve already had to rewrite this bit several times to cull possible references to spoiler material. Also, well done Scalzi for writing an entirely genderless character. I’m not sure I understand how they fit into the larger scheme of things that you devised for this setting, but they felt wonderfully human in a way that some might have ignored. And while I loved the appropriate ending of the story, I was sad that it meant that I wouldn’t get to learn more about the world that encompassed all these wonderful and terrible things. I suppose that means you hit the perfect length for the piece. I really liked the fact that no character felt like they were entirely “good.” Some were certainly more sympathetic than others, but mostly people seemed very human: they wanted, they feared, and they cared (or didn’t) in ways that pulled me into the piece. It never felt like we went very deep with any of them, perhaps due to space restrictions, but I got enough of a sense of them to feel connected before the end of the book. Would I recommend this book? Yes, definitely. It’s short, it’s an easy read (I went through it in one sitting), and it’s a lovely look at a frightening concept. It’s a quick piece of horror writing done well. p.s. 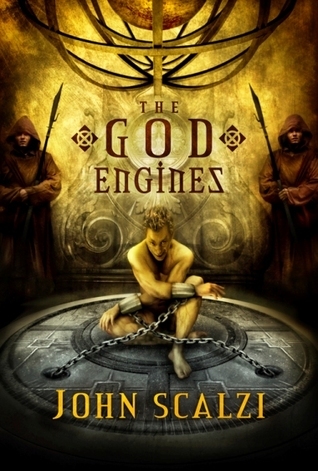 Oh, and here’s Scalzi’s favorite negative review of The God Engines. It’s pretty good. Like a clown car, but with less comedy and more violent death. War movies, in my mind, must tread a very fine line in order for me to consider them good. I prefer for them to leave out bombast and propaganda, and I dislike seeing filmmakers pretty up what I regard as a fundamentally brutal and painful exercise in destroying human life. To quote Robert E. Lee, “It is well that war is so terrible, otherwise we should grow too fond of it.” I don’t feel comfortable with anything that purports to show real life also showing war as a ‘good’ thing. At the very least, it should be problematic and leave you feeling conflicted. The problem, of course, is that if the film doesn’t also tell an engaging story few will go and see it. I also recognize that I have very different expectations and desires for what I’ll call “action movies,” and I’m somehow more ok with an action film showing combat and war in a more glamorous or unrealistic light. The recent A-Team movie, for example, totally ignores many of the realities of war and combat (and physics), and I was ok with that. Some old WWII movies (like Where Eagles Dare) fall into the same category, though they seem to do a far worse job of overtly signaling their lack of contact with reality. 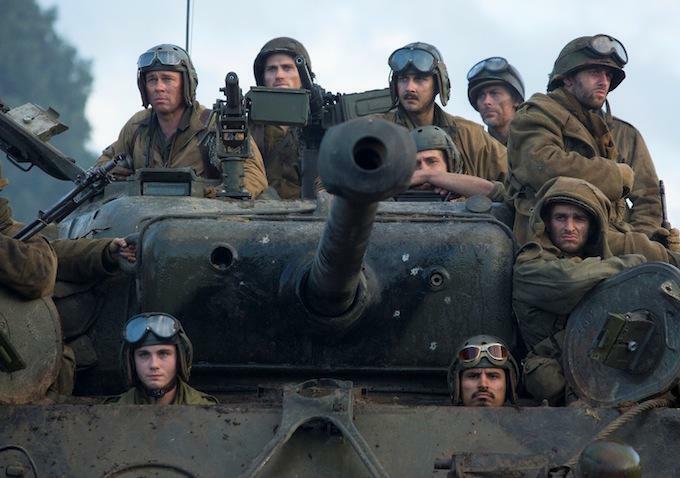 When I saw it, I wasn’t entirely sure where Fury stood with regards to this distinction between ‘war’ and ‘action,’ and that left me uncertain of how I should feel. As you might guess by the title of this post, much of the movie delivers an intensely traumatic view of the war… no, that’s not quite it: the movie follows a group of men who have been as traumatized by the war as seems possible, without having them break. Even that may be pushing it, since the men certainly seem broken when you look at them more closely. They’re just still able to do their job, which is killing others before others can kill them. This, in my mind, is part of what makes it such a good war movie. But I’d be remiss if I didn’t mention that Fury does have an odd change in tone at one point. It’s almost as though it consciously tries to straddle the divide between ‘war’ and ‘action,’ and suffers for it. This doesn’t make it a bad movie, but like I said above, it does leave me less certain of how I should feel. I’ll give you more about this (and some other non-spoilery things) after the break. 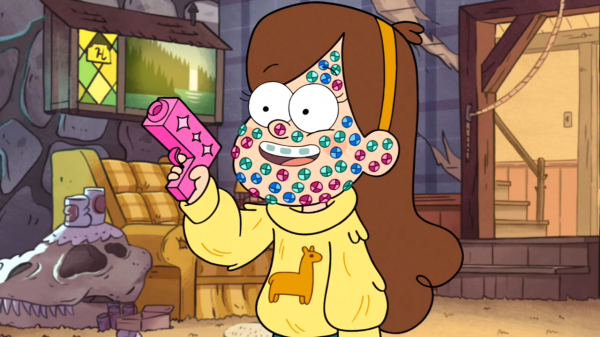 I just spent much of Saturday evening blazing my way through Gravity Falls, Alex Hirsch‘s absolutely wonderful cartoon series. 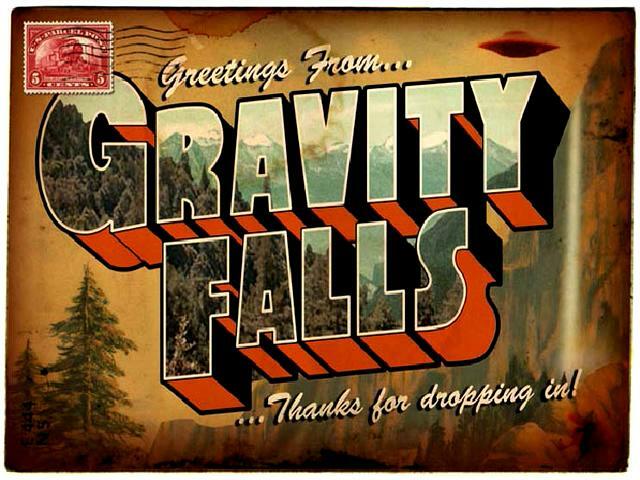 Gravity Falls was first described to me as “like The X-files but with kids in rural Oregon,” which does a decent job of introducing it. That also puts it dangerously (tantalizingly?) close to Twin Peaks territory, but fails to convey just how damn funny the show is; I was chortling the whole way through, and would happily watch many of the episodes again (a rare experience for me with most TV shows). There’re still many more episodes for me to watch, and I honestly can’t wait. I might take a break from writing this just to watch the next one. So yeah, Gravity Falls is what would happen if you mashed Twin Peaks and the X-Files together in a hilarious and intelligent kids show. 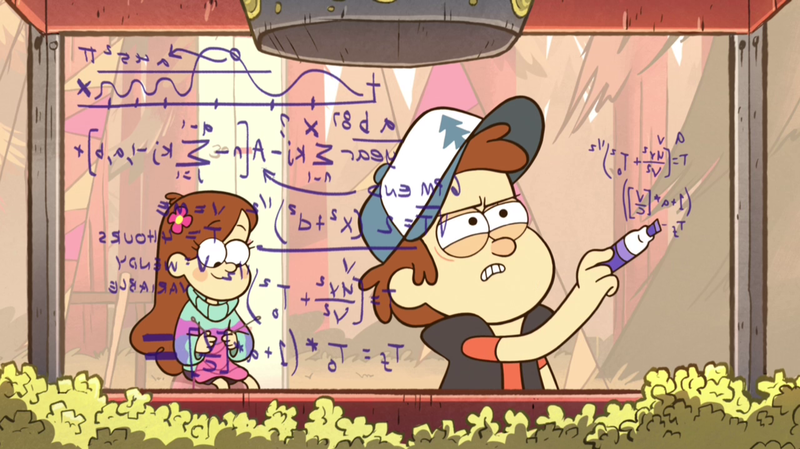 It chronicles the summer adventures of Dipper and Mabel, a pair of twins who’ve gone to spend the summer with their great-uncle (Grunkle) Stan. They live with him in his house / Mystery Shack tourist attraction, and have the dubious pleasure of working for him while they try to enjoy their summer in the bizarre town and its even stranger environs. What’s not to like? And yes, I did just watch another episode. 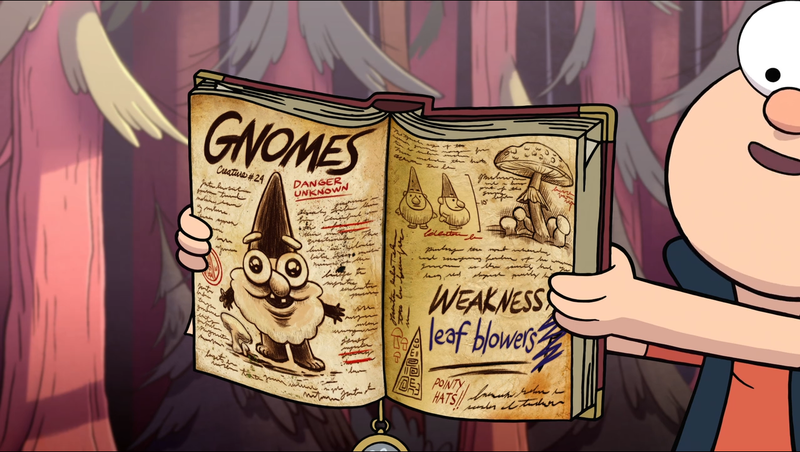 Honestly, if you’re at all interested in smart animated comedies, you should give Gravity Falls a look. It’s definitely a kids’ show, but like the best kids’ programming it uses that as a vehicle to go deeper than you’d expect, instead of holding back. Despite the innately fantastical nature of the show, it still feels like a very real depiction of the emotional lives of its protagonists, and it doesn’t shy away from the realities of social pressure for impressionable youngsters. Now, if you’ll pardon me, I really want to watch another episode.